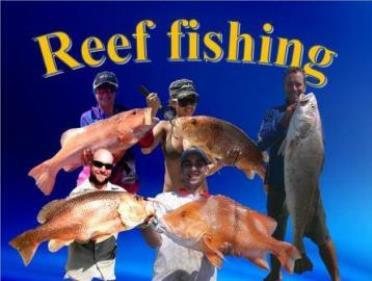 Our reef fishing charters are so much better than the average Darwin fishing charters. 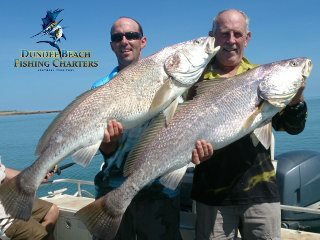 We specialise in small groups taking a maximum of six clients per boat on our reef fishing charters. 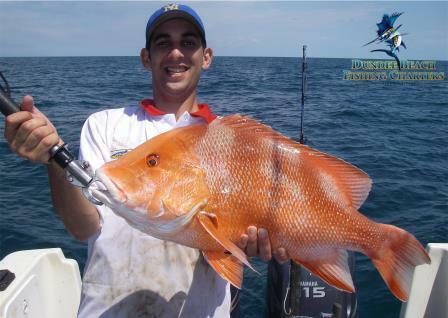 You can experience first class reef fishing in the surrounding waters of Dundee Beach. We fish grounds wide of Dundee to the Perron Islands, with the best marks discovered over many years of responsible fishing practices. 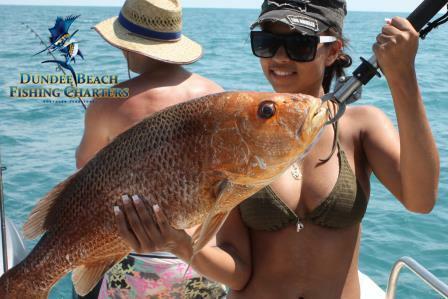 There is a large array of fish species to choose from such as jewfish, golden snapper and cod on the inshore reefs. Further off-shore, we target red emperor, coral trout, bluebone, saddle tail snapper and grass emperor. Techniques range from conventional tackle, casting, live bait and jigging. Our team of professional fishing guides have expert local knowledge of the area and will offer the best advice on the fishing options to ensure you have a successful day. We also have the ability to keep moving to target different species of fish. 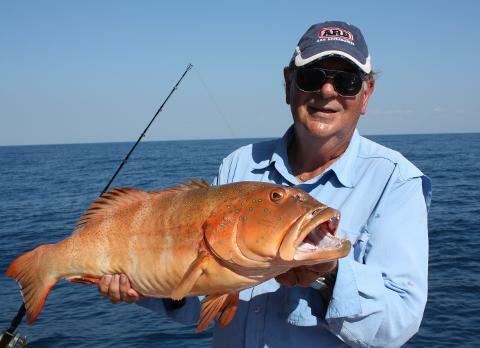 Trips are an ideal way for small groups or individual anglers who want to experience some of the best reef fishing in the Northern Territory. Fish can be cleaned and packed in airline approved boxes to take home. · Lunch, snacks and non-alcoholic drinks. · Quality rods, reels and tackle are all supplied. Charters depart Dundee boat ramp at 7am and return by 4.30pm.